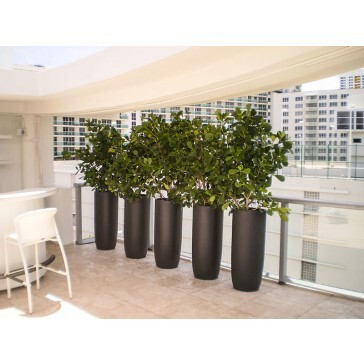 The slender profile of the Saint Tropez Tall Round Fiberglass Planter, along with about 3 to 4 feet of height, makes it a stunning centerpiece for a table. It works equally well in a grouping when even more dimension is needed for a lobby, entryway, or gathering area. The tapered shape adds interest while your choice of 16 U.V.-resistant finishes helps further customize the interiors of hotels, office spaces, hospitals, resorts, retail complexes and other commercial spaces. Choose a hue like Glossy Red to make a bolder statement or select Matte Black, Matte Charcoal or Metallic Bronze for a more reserved look. Made by master craftsmen of high quality fiberglass, the Saint Tropez Fiberglass Planter is built to endure harsh outdoor elements. With the finish professionally applied with through an automotive grade process, the hues are chip-proof and resistant to fading. 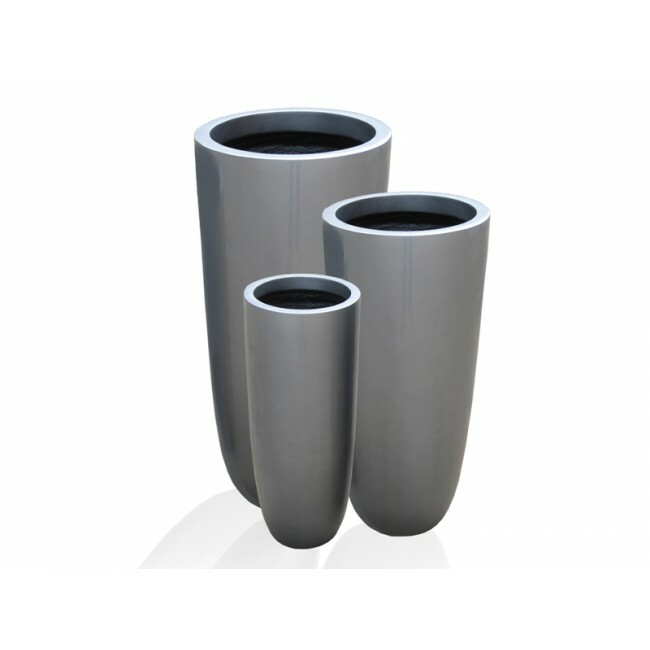 The planter is available in three sizes, ranging from about 3 feet to nearly 4 feet in height. The subtle lines of the Saint Tropez planter, along with its availability in gloss, metallic and matte finishes, give it the ability to integrate with numerous design schemes, including contemporary, modern and transitional.